Cameron Dummigan has returned to Boundary Park on a one month youth loan having impressed there previously during the first half of the season having made nine appearances. He'll be joined by Danny Lafferty. Both went together last time but Lafferty returned early due to a shoulder injury. He played just five times with both of them having made their debuts in a draw at Gillingham. Both will be there until 30th January and, subject to Football League clearance, will be in David Dunn's squad for the game against Millwall this Saturday. Like Lafferty, Luke Hendrie had a loan cut short this season. He went to Hartlepool but, having received praise from manager Ronnie Moore in his three appearances, he suffered an ankle ligament tear. He's now returning to League Two for a month with York while Northern Ireland under-19 goalkeeper Conor Mitchell will join National League North club Bradford Park Avenue for a month and will compete for a place in the first team with former Burnley goalkeeper Jon Stewart. Mitchell becomes the first player to move between those two clubs since we signed Billy Elliott from them in 1951. As for go out, one returns, with Luke Conlan back at Turf Moor after spending the first half of the season with St. Mirren where he made four appearances. It's really positive news to see these players going out on loan, getting first team football. 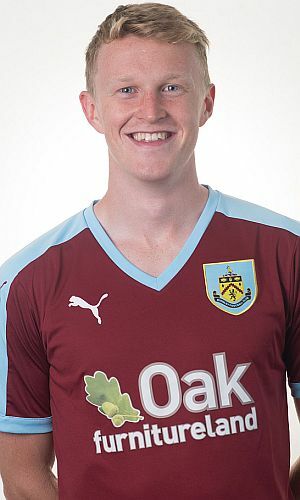 In Lafferty's case, with Ben Mee and Stephen Ward ahead of him for the left-back berth, it will get him some games whilst the other three will be getting some more competitive football to aid their development, hopefully towards the first team. I'm far from convinced we've moved forward in terms of developing players in our academy over the last four years. We've rarely got players out on loan at an appropriate level. Coupled with news that the club will soon be appointing a new academy director, we are certainly starting to move forward at that level. Good luck to those players going out and also welcome back to Luke Conlan.